Nearly everyone carries a mobile phone, the absence of which can produce a sharp sensation of dread and perhaps even spark panic. A growing number of companies are coming to understand how consumers’ granular-level data can lead to a host of revenue-enhancing opportunities, and set a path for customer acquisition and product improvement. How and why to operate in that sweet spot — that potentially lucrative position between ubiquity and the voracious consumption of data — is the subject of the latest edition of the PYMNTS Matchmakers interview series. Hunter Macdonald, CEO and co-founder of Tutela Technologies, a seven-year-old Canada-based firm that collects and sells what he calls “crowdsourced” mobile data, shares his thoughts on how the data it collects could impact payments and commerce. “There is a massive shift coming, in our view,” Macdonald said. Not only is mobile advertising growing (it will drive 75 percent of all digital ad spend this year, reaching $70 billion), but in-app mobile purchases reached almost $60 billion in 2017, a year-over-year increase of about 20 percent. 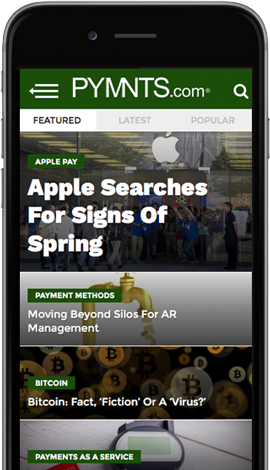 Granted, Google and Facebook have all but locked up the mobile advertising world — and that might be putting it softly — and in-app commerce is still a baby, relatively speaking, accounting for a tiny part of eCommerce. But Macdonald said he is confident the numbers will shift in such a way to benefit the company and its data collection efforts. The stakes, clearly, are immense. Companies with an edge of data — including information, for instance, that can show how consumers behave in certain locations, shops and commerce situations — can provide that edge, which often leads to a sale in this fiercely competitive world of digital retail. Showing the right advertisement at the exact right time to a consumer, in the exact right frame of mind, can result in revenue and customer loyalty gains. But there is a growing blowback as well, that could one day — directly or indirectly — influence the work done and services offered by Tutela and similar companies. An example of that came late last month when major U.S.-based wireless carriers said they would stop sharing such location-based consumer data to some controversial data aggregators, a move that is part of the increasing attention that consumers, and their lawmakers, are paying to privacy and security in this digital age. Tutela does things differently from wireless carriers, Macdonald said. The company originated, in large part, from the idea that the way mobile service providers were testing their networks was inefficient and produced incomplete results. “They would go buy 50 phones, take SIM cards from their own network and the networks of competitors, and drive a set of phones up and down the street” to find gaps in coverage, according to Macdonald. Macdonald’s mind was already primed by his engineering and business education at McGill University and the University of Victoria. The engineering background, he said, enables him to speak the math- and jargon-heavy language employed by many of the company’s clients, and to make sure his own employees don’t try to pull one over on him. “It helps me keep my engineers honest,” he joked. “If they say a job is going to take a week, but I know it will take a day, then I know” they are trying to slack. He also worked as an entrepreneur in residence at Wesley Clover International, an investment firm — a job that gave him a close view of the telecom industry and experience helping its participants, he said. “It is really hard for wireless service providers to understand where they are doing a good job and where they are doing a bad job,” he said when asked about some of the lessons he learned from that time. “We’ve had 250 million installations of that code base over the last year,” Macdonald said. All that crowdsourced data goes into products designed to not only help network operators improve their network performance, but provide insights into marketing trends for analysts, regulators, and other people and organizations. Such data can also help device and equipment manufacturers improve their products and offerings. That assumes, of course, that consumers — including gamers — do not get creeped out about such data collection in a way that harms the companies involved. Consumers, lawmakers, regulators and companies, for instance, are still dealing with the fallout of the Cambridge Analytica controversy, which involved accessing the data of 87 million Facebook users. In addition, Google and Apple now face questions from a U.S. House committee about data collection conducted via handsets. Lawmakers have expressed concerns over reports that smartphones, in general, can and sometimes collect extensive audio data that can be accessed by third parties. As the crowdsourcing collection of data develops and, presumably, finds more clients, all that information could not only lead to more precise mobile marketing, but new payment- and commerce-related products, Macdonald said. He also envisioned a future where crowdsourced data could help guide the construction of smart cities and new highways, and play a role in investing and stock market trading. A recent report from Tutela, for instance, found that the average consumer in Canada uses 56 percent less mobile date per month than the average U.S. consumer. The company arrived at that finding as part of a global analysis conducted in May, which involved more than 48 million mobile data users in 10 countries. It is not too difficult to see how such data — or, perhaps more accurately, even deeper sets of facts and figures — could be used by companies for a variety of tasks and planning purposes. It’s the scale of the data set that gives Macdonald confidence that Tutela will continue to grow and keep finding new customers. There is little doubt that every data-accumulation and sharing firm will, one way or another, have to face the growing backlash on privacy and security. For now, these companies are striving to find fresh ways to provide the data that fuels the digital machine.